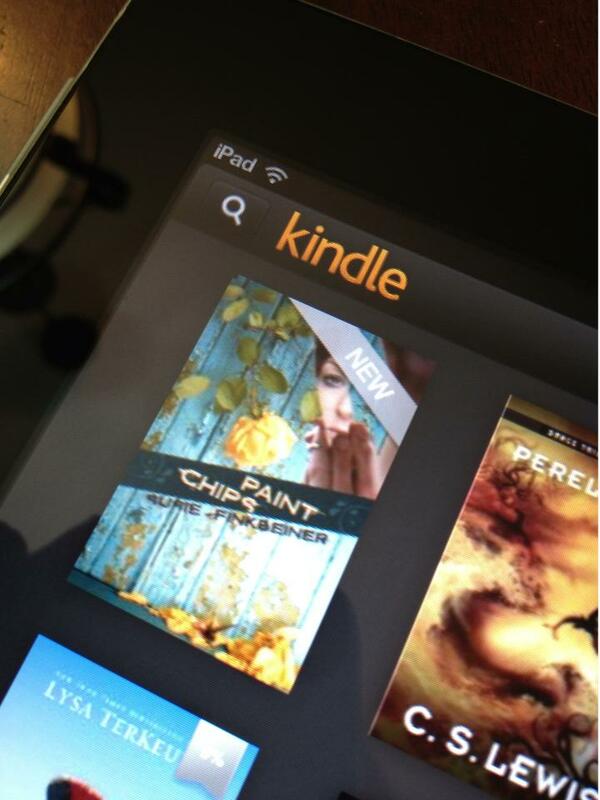 As you may have heard, “Paint Chips” released a few days early for Kindle users. Nook friends, sorry. B&N is more than likely hoping to be fashionably on time (meaning that it should be up for you on Tuesday, January 15). Didn’t get yours? Oh. Well, allow me to give you the link! It’s $3.99 for the Kindle. It’s a bargain, let me tell you. Click HERE. This past weekend was nothing short of dizzying. In a very good way, in case you wondered. Can I share a few things with you? Not to brag…but to let you know how great and wonderful my friends are? 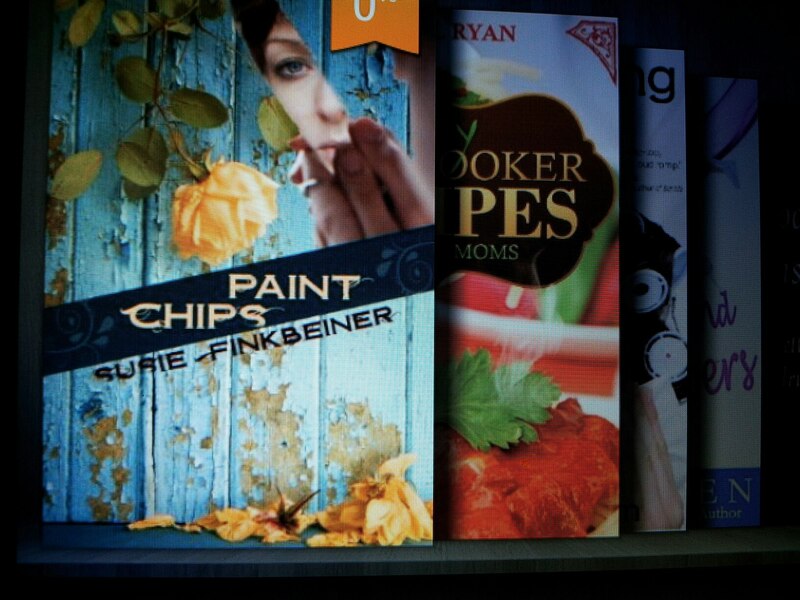 A few friends decided to take pictures of their Kindle all loaded with “Paint Chips”. These pictures made me giggle…and freak out…again, in a good way. Jen Gusey loaded her copy to read on her way to Florida to run the Disney Marathon! Jodi Fabian showed her copy…right next to CS LEWIS!!!! Julie Wetzel’s husband bought her a copy for a Christmas present. Isn’t he nice? Natalie Creasy shared this picture. Such a sweet friend. 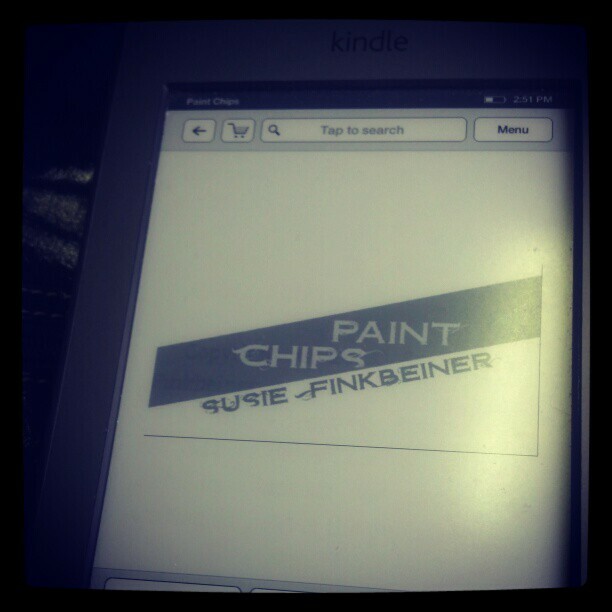 If you have a picture of “Paint Chips” on your ereading device, or a picture of you reading it, please feel free to share it on Facebook! I’d love to see them! And, for those of you who have finished reading the book, would you do a huge favor for me? Pretty please with lots of gooey brownies? Could you please post a review on Amazon and GoodReads (if you have an account at Goodreads)? Honest, yet kind, is good. You don’t need to write a book report. Just a few lines about what you thought of the book. And no spoilers, please! 🙂 And, really, I won’t be hurt if you don’t give it 5 stars. Honesty is the best policy. For those of you who have written reviews and posted on Facebook/Twitter/Google+/etc…my deepest and most sincere thanks. I wish I could give you each a tight hug. Maybe I can see you soon and do so. Keep up the good work! And for all of you…each one of you…you are a blessing to me. Really. Your encouragement and support have meant more to me than I can express. 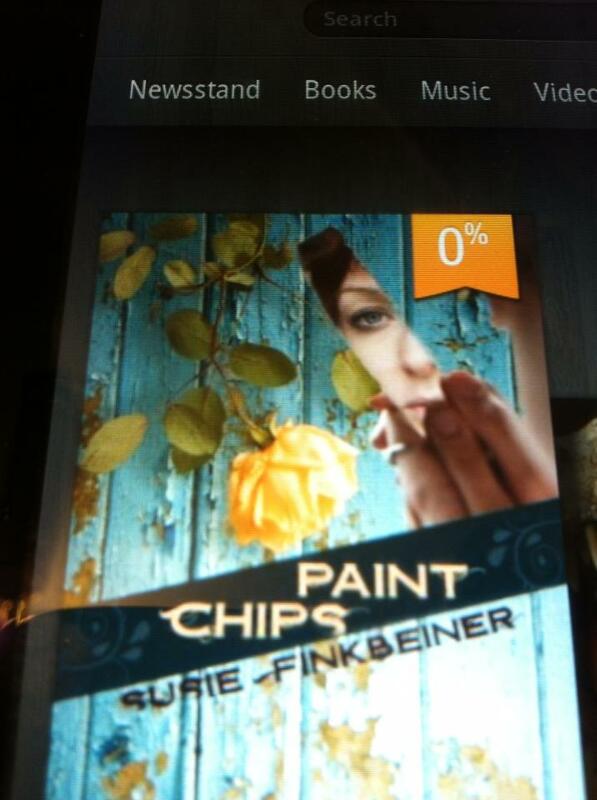 “Paint Chips” would be a lonely novel were it not for you. Many thanks and my most heartfelt gratitude. 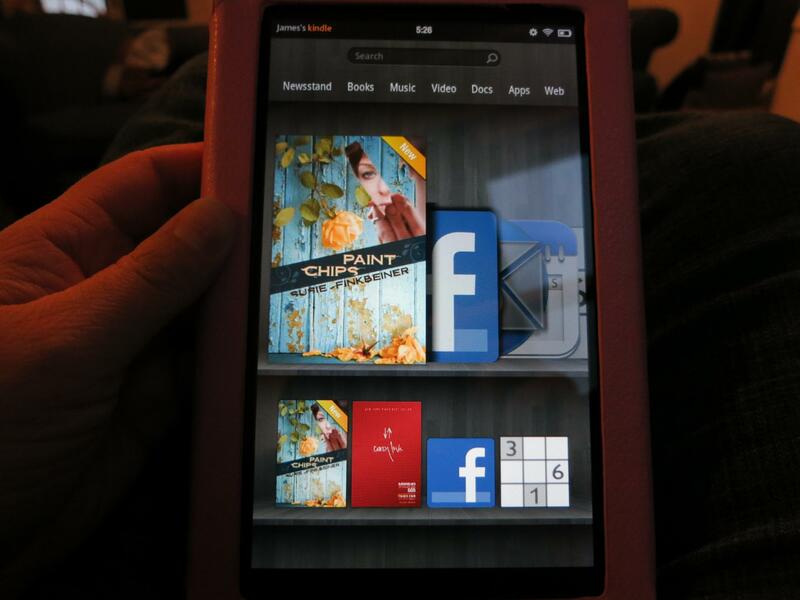 It looks like four of your five friends have a Kindle Fire. Yeah, that’s all I have to say today — except congrats! Ha ha! Peter this made me smile. And thank you! Thank you so much, Zina! I really appreciate that. And I love your name!